Decent budget ram, standard 1866Mhz clock speed, runs cool, stays quiet. It's ram. Just choose from the 4 colours, Blue, Black, Red and White. Another fine addition from eBay. What can I say? It's RAM, 8GB, new RAM, same old story you'll hear with any RAM kit. Low profile good looking RAMs from a good brand. 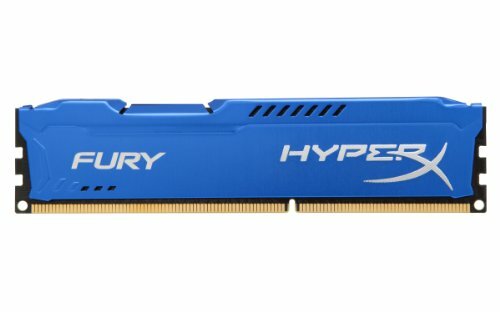 The parts list says hyperfury x blue 1866mhz but they did not arrive when they were suppose to. so currently pictured are Gskill Ripjaws 1600mhz. They get the job done but the hyperfury matches the blue i am using better.